Huggins Honda has been serving Eastland Texas customers for years. We appreciate the business they have given us. Get a New Honda, Certified Used, or Preowned car, truck or SUV at our North Richland Hills Honda Dealership today. Huggins Honda is a short drive from anywhere in Eastland, TX. Eastland, Texas is one of the main sources of gravel for construction in the North Texas area. With several operational gravel queries Eastland provides great jobs for many residents living in the outlaying areas. Eastland is a blue collar community that is proud of it's heritage. Huggins Honda offers an expansive New Honda Inventory available to our customers in Eastland, TX. We carry all the popular Honda models including the Honda Fit, Civic, HR-V, Accord, Pilot, Odyssey, CR-V, and Ridgeline. Our friendly Internet Team is standing by to answer all of your questions and get you a no hassle quote on any new Honda in stock today. 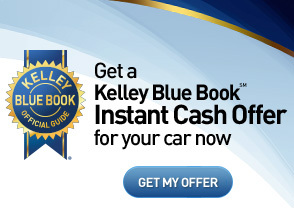 Be sure to check out our New Car Specials, as well as see the latest Incentives offered by Honda. You can even do a trade appraisal of your current auto online anywhere in Eastland, Texas and get a written offer to buy your car in minutes, in most cases. Come see us today to save some money on a new Honda vehicle. Huggins Honda stocks an excellent selection Certified Used Honda automobiles available for residents of Eastland TX. We carry all the most sought after Honda's autos including Certified Used Honda Accord, Civic, Fit, Insight, Pilot, Ridgeline, Odyssey, CR-V, and CR-Z. We also carry high quality low cost used cars by other manufacturers. Pick out your next certified pre-owned car with no pressure at all. Huggins Honda also carries a high quality low cost Used Car Inventory for our customers who live in Eastland TX to select from. One of our highly experienced Used Product Specialist can assist you in selection of the car that best fits your needs today. Our professional Finance Department are expert at arranging long term low cost loans to qualified customers. We finance all credit types including bad credit, bankruptcy, and first time buyers with no credit. You are only steps away from being pre-approved for auto financing near Eastland today. Get Pre-approved fast using our secure Honda Credit Application online from anywhere in Eastland! We will get back with you in a hurry to answer all of your questions and arrange a test drive of the vehicle you have selected. Huggins Honda is conveniently located at 7551 NE Loop 820 in North Richland Hills, Texas. We are a short drive down I-20 from anywhere in Eastland, TX.